Hello and happy Monday to you! 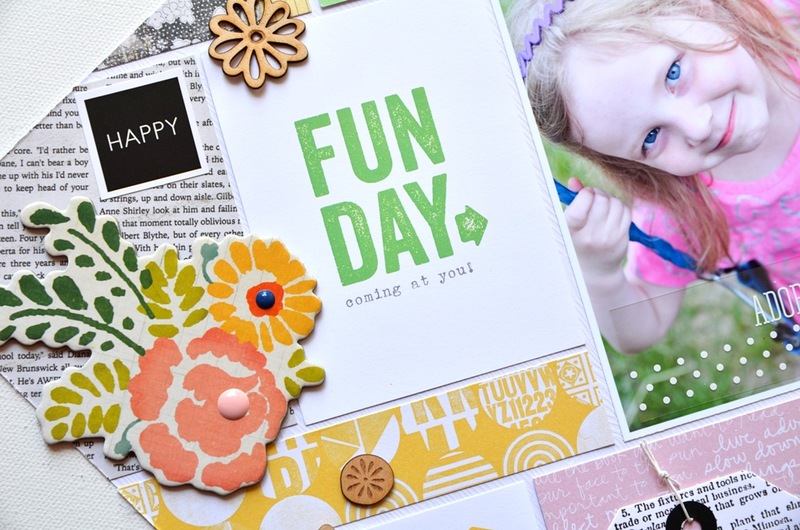 Jen here and today I'm going to show you my simple strategy for a Pocket Life style scrapbook page. I started with my photo in the middle and built from there, using 3x4 cards from the June PL kit. I also used scraps from the 6x6 pad that comes in the PL kit as well as some embellishments from the main and add-on kits. Do you see anything you recognize? 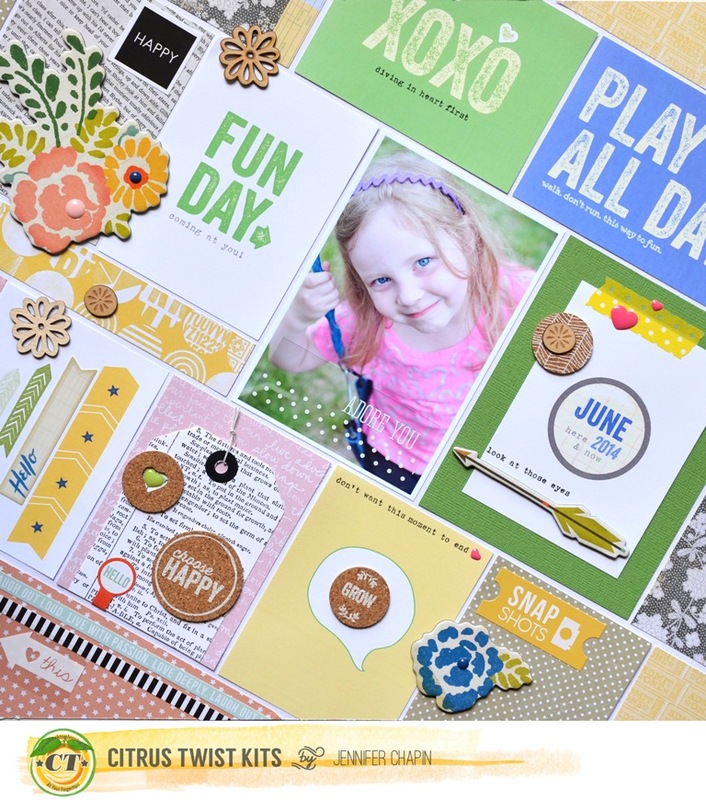 I can tell you most of what is in this month's kit are really new products hot off the presses! This card is from the PL kit as well as those exclusive wood veneers. And here are some of the stamps in action. What do you see that looks familiar? Full reveal will be on the 5th! Be sure to leave a comment on this post with your guesses at to the products that will be in the new releases at reveal, and you'll be entered to win a gift certificate to the Citrus Twist shop! Twirly girly enamel shapes by Chikaniddy crafts and Something wonderful decorative stickers by Theresa Collins! Studio Calico South of Market cork stickers, Studio Calico South of Market papers Because I Can, Stoney Creek, Tickets Please, Due Date, and Made with Love, Crate Paper Open Road chipboard, Crate Paper Open Road 6x12 stickers, and maybe MME enamel dots?